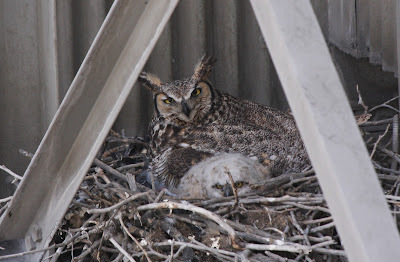 This morning, we had the great privilege of observing and photographing a Great Horned Owl nest at the Lyons Cemex cement plant. 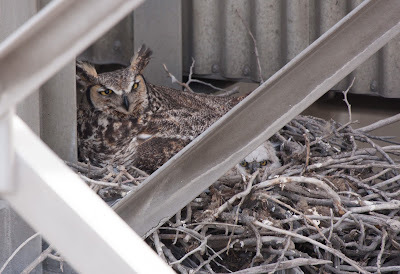 Situated about 50' feet up the side of a building atop supporting I-beams in an old Common Raven nest, the pair of adults has successfully hatched two young. 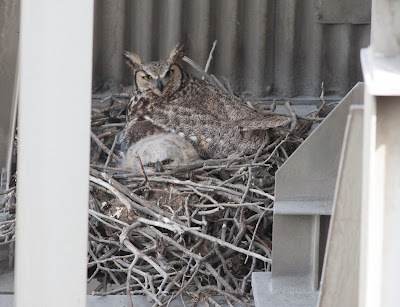 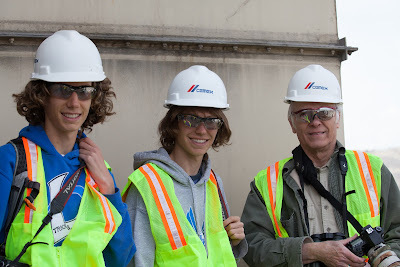 We donned hard hats and safety glasses, climbed on catwalks high above the ground, and attained a unique view into its nest from above, while maintaining a comfortable distance for the owls. 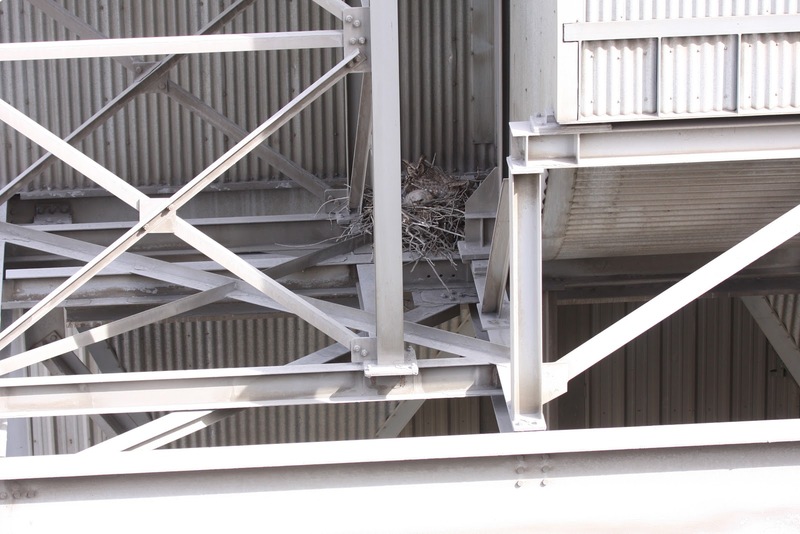 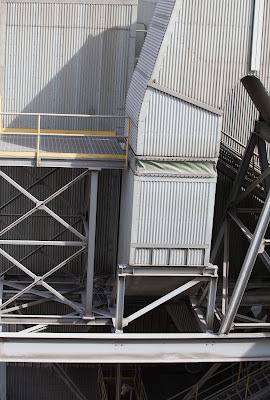 The following photographs give a better perspective of the nests location at this industrial site. The nest is in the central part of this image. 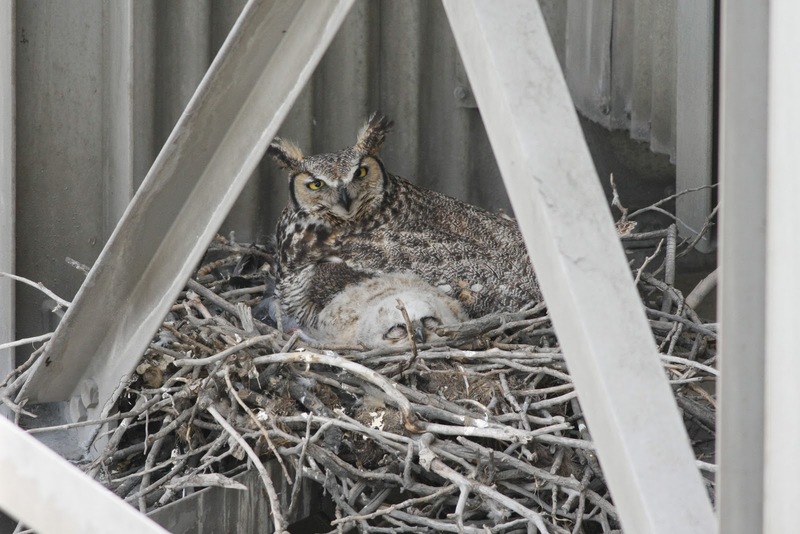 Zooming out even farther, the nest is located just to the right of the lower "X." Looking up from the ground, the nest is on the structure to the left. 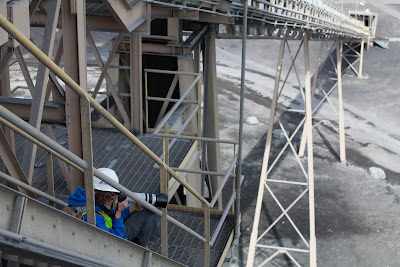 We photographed from the catwalk and stairs in the middle of the cylindric structure. Joel, Marcel, and Ron Harden atop the catwalk. 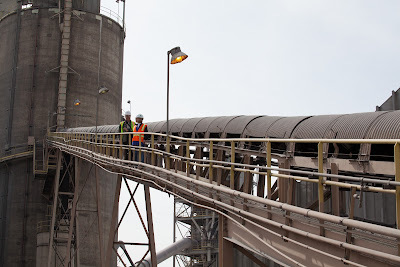 working their way down the long inclined catwalk. 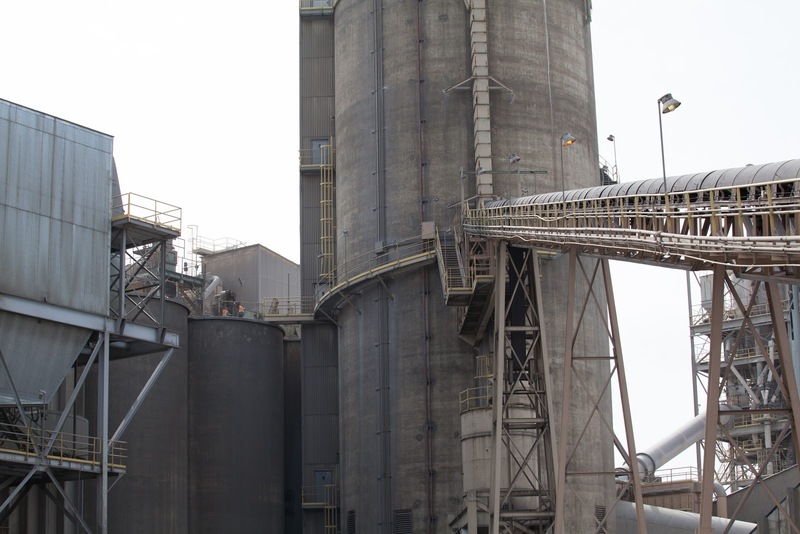 Though the owls are nesting in the midst of a modest sized industrial complex, the plant is situated on about 1,800 acres, which includes an open pit mine, reclaimed lands, and natural areas—prairie and riparian. Additionally, there are Boulder County Open Space lands and farms surrounding the Cemex lands giving the owls plenty of territory for hunting. Thanks to Denise Arthur, Environmental Manager at Cemex for extending the invitation to see this unique nesting site and to Sally Stine-Villani for being our guide.